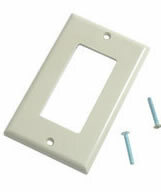 Feedhrough insert with DB9 female to DB9 female coupler for a professional finish to your installation! 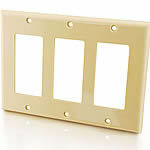 This insert is stamped from 20 gauge steel and painted to match your room decor. 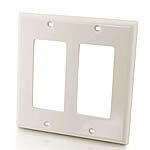 Use it in standard electrical boxes or mud rings, and with standard decorative wall plates for easy installation. DB-style feedhrough connectors provide a secure connection for RS-232 and serial cables.